About two times per week, I go out on a five (or so) mile run. I've been doing this for several years now, which by my calculations, means I've run more than 3,500 miles. Yet every single time I lace up my shoes and step out the door, I feel that same old feeling: dread. But when I finally put one foot in front of the other and feel the pavement beneath my feat and the wind in my hair, something strange happens. A sudden wave of lightness comes over me. As one mile becomes two, and two becomes four, I feel something very familiar. A feeling that I've felt on each and every run: happiness. When my run ends and I'm finally back at home, this lovely thought pops into my head, "I'm so glad I just did that." This happens nearly 100% of the time. So if all of my past experiences with running have shown that it will produce positive (and enjoyable) results, then why do I dread running every time? It turns out this paradox does not apply merely to exercise — it applies to almost everything worthwhile that we humans embark upon. "The ultimate destination is the Unlived Life, or the space in which our actions are reliably aligned with the rational outcomes we know they will bring about." But getting there isn't as easy as it sounds. As humans, we all naturally face three nemeses. Nemeses that confront us on a daily basis and linger in the back of our minds until we either give in or decide that we will consciously overcome them. 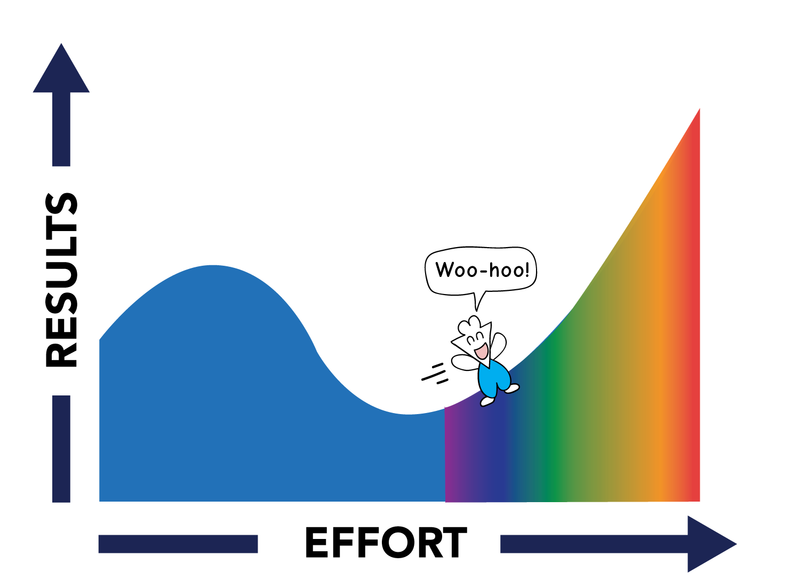 Watch an hour of Netflix or work on your passion project? Go to the gym or grab a drink with your friends? Spend time with your family or knock out an extra hour of work? "Whether you’re trying to be a better family member, take better care of your body, or develop better friendships, our existence is comprised of many different endeavors and decisions that form our collective being." And just when that sounds complicated enough, you add another layer. Turns out that the things that matter most in life are the things that don't come easily. 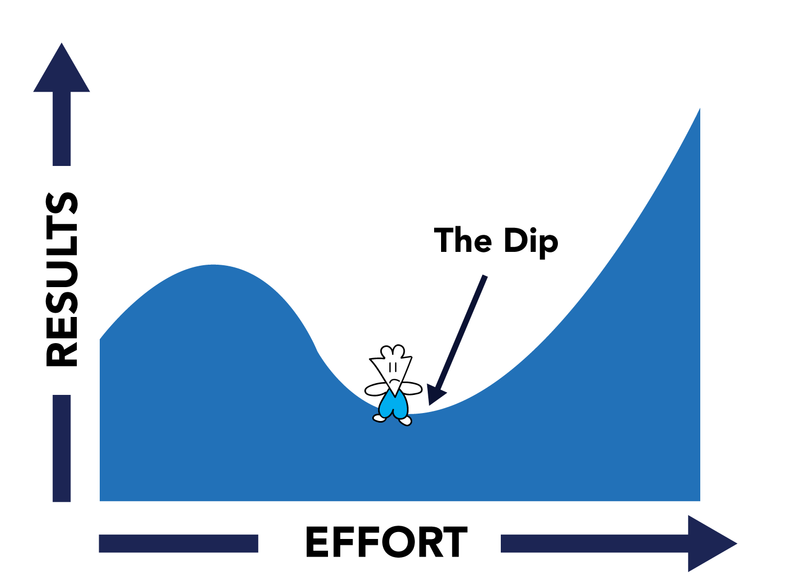 Seth Godin calls this phenomenon, "The Dip." Laziness, self-doubt, and uncertainty are more prevalent than ever in The Dip. But that's usually a very good sign that you're onto something important. Whether it's your relationships, career, health, or passion projects, true success and happiness are not easy to achieve. We tend to give up when the going gets tough and prioritize one area in our life at the expense of the other. "When it comes to being the best version of yourself, there is no rat race, and there are no shortcuts to doing the most meaningful things that life has to offer. The Unlived Life is not so much a destination as it is a reminder of what we are all capable of, and sometimes we need to slow down to hear that reminder loud and clear." Life is a strange, wonderful, and exciting experience and it's a pleasure to be on this journey with each of you. P.S. Shoutout to my brother, Robby, who turned me on to the philosophy of Stoicism and the book, Letters from a Stoic. If you're looking for a deep, philosophic read, Seneca has just what you need. P.P.S. To all of my readers interested in marketing, here are 7 TED Talks that will make you a smarter, more enlightened marketer. Feedback about Thinker? I'd love to hear from you! Simply reply to this email. Or, you can quickly unsubscribe from my list here. Copyright © 2018 Thinker, All rights reserved.